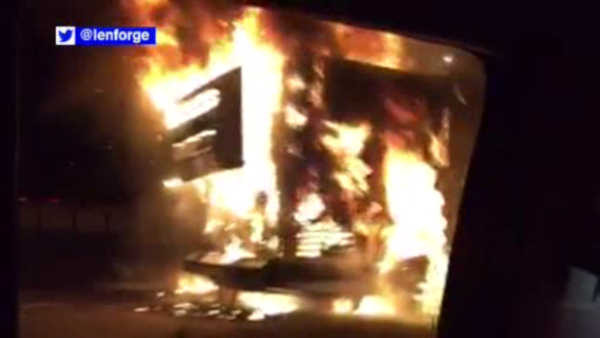 BAY RIDGE, Brooklyn (WABC) -- An MTA bus was consumed by fire on the Gowanus Expressway in Bay Ridge. The bus was out of service with only the driver on board when he noticed smoke around 9:30 Friday night. The driver was able to get out to safety before the entire bus became engulfed in flames. All westbound lanes were closed for over an hour.